*This press event is for foreign press only. *This event is organized and sponsored by Chiba Prefecture, with the FPCJ handling applications. This press event will introduce a project to install and operate a floating mega-solar power plant at the Yamakura Dam in Chiba Prefecture, with the largest production capacity of its type in Japan, as an example of renewable energy initiatives by regional local governments. 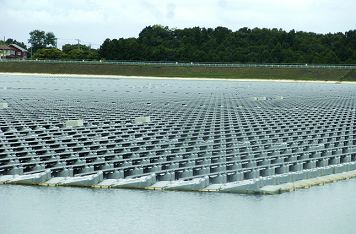 After the Great East Japan Earthquake in March 2011, Chiba Prefecture has been engaging in initiatives to utilize new energy such as solar power and micro hydroelectric, with the goals of achieving energy diversification, reducing environmental burden, and stimulating local economies. 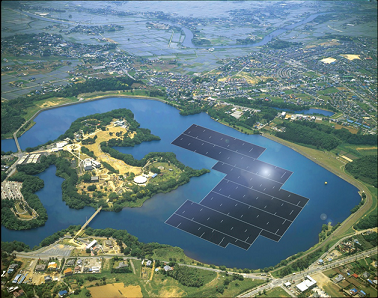 In 2014, noting the progress in technology for floating structures on water, a project was started to install and operate a floating mega-solar power plant using the reservoir of a dam with water used for industrial purposes, managed by the Chiba Prefectural Waterworks Bureau. Kyocera TCL Solar LLC was chosen to carry out this project. Currently, installation of the solar panels on the reservoir has been completed, and construction to allow for transferring electricity to power companies is underway, with the goal of beginning to generate electricity within fiscal year 2017. This press event will provide an opportunity to film and photograph the transformers and panels installed in the reservoir, as well as hearing from Chiba Prefecture officials and Kyocera TCL Solar staff about the goals of the project, an overview of the construction, the benefits of being installed on water, and future challenges. 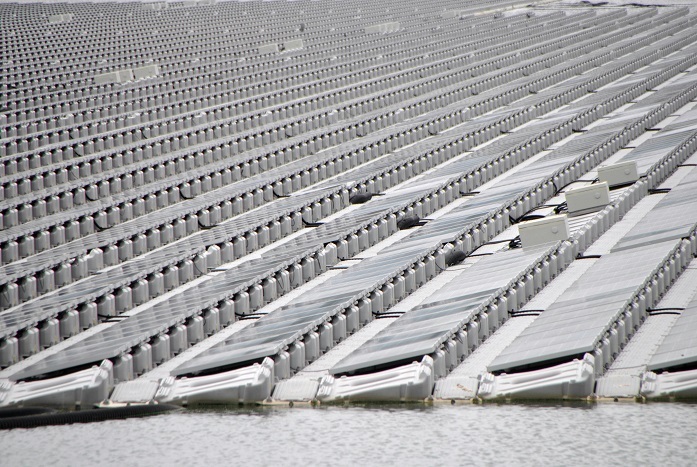 ・Using 18.0 hectares, or approximately one third of the Yamakura Dam reservoir surface, and 1.5 hectares on land, this will be Japan’s largest floating mega-solar power plant, with 50,904 solar panels, an estimated maximum output of 13.7 MW, and annual power generation of 16,170MWh (equivalent to the annual power consumption of 4,970 average households*1). 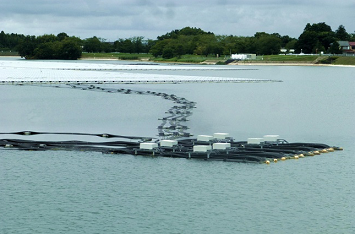 ・In consideration towards the water being used for industrial purposes, materials that do not affect the water quality are used, with the floats made of durable materials resistant to ultraviolet rays and corrosion, and the panels not being water-soluble. ・Strength design, interlocking, and fixation technology ensure strong winds and waves can be endured, to prevent panels from being scattered. ・Contributions are also being made to the local community, such as by establishing an environmental learning facility near the power plant for visitors. ・This project is a concrete example of a public-private partnership for the utilization of renewable energy. ・The Yamakura Dam reservoir is sourced by the Yoro River, and is the first reservoir for industrial water services in Chiba that is managed by the prefectural government. It provides industrial water to companies in the Keiyo Rinkai Industrial Zone. ※Transportation fee and other costs are the responsibility of participants. Tour ends at Soga Station. *There may be some restrictions on photographing and filming at the tour sites. Please follow the instructions of the officials on duty. might occur during the tour. The schedule is subject to change without notice. Your application will need to include the items listed below.